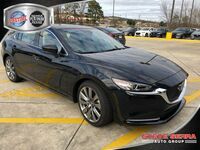 The Mazda6 has long been the flagship vehicle of Mazda. 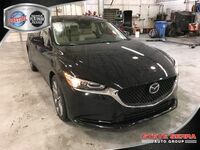 Instantly recognizable and always on the forefront of innovation, the Mazda6 has set the standard in the automotive market for the full-size sedan class. The new 2018 model year is no exception. Pushing the boundaries of design and redefining the term, luxury, this sedan is taking the automotive world by storm. 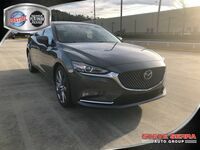 Blending both sport and sophistication, the Mazda6 captures the essence of excitement, power, and refinement. Featuring a smooth drive and responsive handling, this sedan was built to be a driving machine. 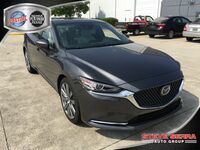 This new model year of the famous Mazda sedan is both functional and beautiful. Simplistic in its interior cabin layout, the Mazda6 makes every touch feel intuitive and every command seamless. Leasing a vehicle has many benefits that car shoppers should consider when looking for a new vehicle. Leasing can be a great way to get into a new car without making such a big commitment as buying. It also lets you have lower payments than you would when purchasing a new car. It gives you the versatility of choice and gives you an opportunity to keep up with the ever-changing automotive market, as the lease terms are usually short enough to keep you in a new car every couple of years. We’re always updating our leasing offers at Serra Mazda, letting you stay up to date. 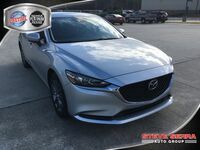 Interested in a New Mazda6 Lease? 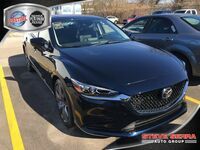 The 2018 Mazda6 will offer four trim levels: the Sport, the Touring, the Grand Touring, and new for the 2018 model year, the Signature. 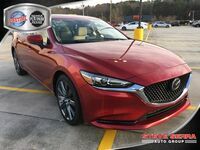 The 2018 Mazda6 will now offer the choice of two engines: a SKYACTIV®-G 2.5L 4-cylinder engine that is capable of producing up to 184 horsepower and a SKYACTIV-G 2.5T 4-cylinder engine that is capable of producing 250 horsepower. 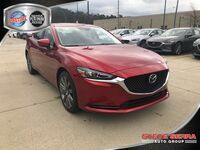 For the new model year, the 2018 Mazda6 adds cylinder deactivation technology, which functions to shut down the outside two cylinders at steady speeds between 25 and 50 mph. This allows for greater fuel efficiency. 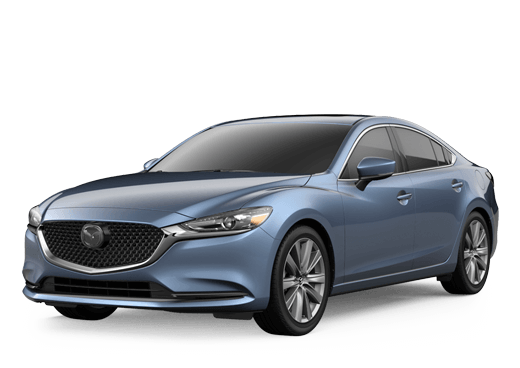 This new Mazda6 comes with an all-new trim level: the Signature. You may recognize the name from the CX-9 lineup. This luxurious trim level is designed to rival luxury automobiles, and it does just that. You'll find special Nappa leather and Sen wood accents in this model grade. 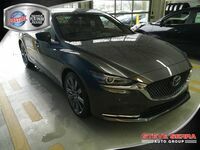 The Mazda6's chassis has been fully revised to provide a smoother ride and increased agility. This means that you'll have an even more enjoyable ride ahead of you. 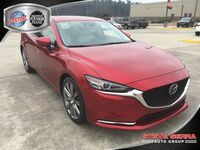 This model year of the Mazda6 adds new technologies including a 360⁰ View Monitor, Windshield-projected Active Driving Display head-up unit, a new 8.0-inch MAZDA CONNECT infotainment display with sharper color contrast, and more.